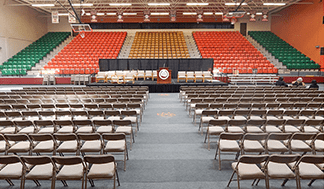 Whether you are looking for gym floor covers for your school’s sports programs or require gym flooring tiles for your gym based business, having the right product is critical to ensuring the safety of those who use it. At Enhance Mats, we take the safety and protection of our customers seriously. We also realize the importance of branding when necessary. Our goal is to provide the right materials for you, no matter how you intend to use them. A gym floor is a substantial investment and it requires constant maintenance to keep it in great conditon. Along with a specific maintenance schedule, investing in floor protection provides safety, will extend the lifespan of the gym floor, will keep it looking new for years and ultimately save you money. Refinishing and replacing a gym floor is a huge expense. If you can maintain the gym floor finish, you can save both the expense and downtime. We know that folks like to search before finalizing their purchase. We decided to provide a good overview of what your gym floor protection should include so you can make an informed decision. Here’s our recommendation for the top 10 features your gym floor protection should have before you invest. All marital arts academies, kickboxing schools, and gyms are required to adhere to the American’s with Disability Act (ADA). This law states that all public accommodations, including gyms and wrestling centers, must provide both ramp systems and matting at various heights. This protects both disabled individuals and the facility owner from violating state or federal access laws. Since there are more disabled individuals getting involved in sports activities, ADA compliance is imperative in all public spaces. Make sure your gym floor cover complies with these laws to avoid penalization. Durability is a must-have for gym floor tiles and gym flooring rolls. The amount of pressure placed on your gym floor cover can quickly wear it down. To avoid premature breakdown, make sure you purchase products that are durable enough to withstand years of demand. Fortunately, our gym floor mats and covers have rugged durability, and can withstand years’ worth of daily use. Running, jumping, and constant movement all takes place on your gym floor covering. Two key components of quality gym mats are their ability to be non-skid and moisture proof. Sweat and other liquids can make their way onto the mat. When that happens, it could cause a dangerous environment. To avoid this situation, you have to choose a slip-proof and moisture proof mat. You might not think it, but it is important for your floor cover to be stain proof. It isn’t uncommon for food and especially drink, to get dropped on your mats. When that happens, it creates the perfect environment for mildew to form. A stain-proof mat prevents mildew from building up, which inevitably requires premature replacement. Make sure your gym floor cover is resistant to stains or you could end up spending much more than necessary. 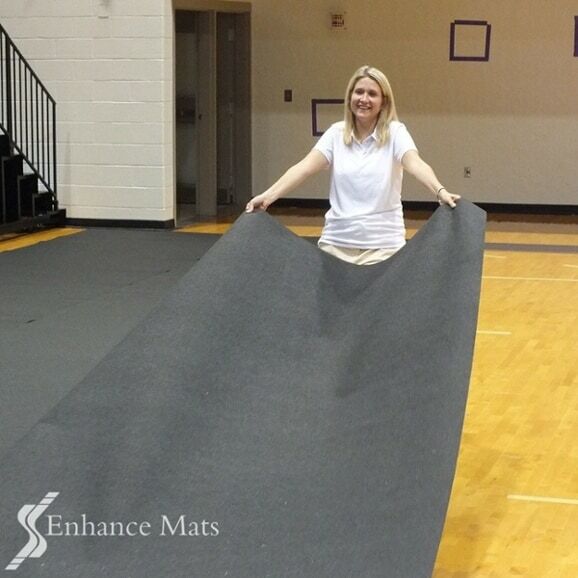 Check out the Anti-Microbial gym mats now on the market from Enhance Mats. The patented silver and copper ion technology built into the carpet top cloth reduces and helps prevent the growth of mold, mildew, fungus, and destructive odor causing bacteria on the carpet surface. The safety of your students or customers is critical. Luckily, our mats reduce the likelihood of tripping and falling. Non-skid backing allows our gym floor covers and gym mats to adhere to the surface of the gym floor and stay there—thus reducing tripping hazards. To keep your students or customers safe, choose a mat or cover that comes with a reduced tripping hazard. Easy installation and take up is a key component to consider if you plan on using your gym mats and gym flooring rolls for floor protection. Special events may require you to bring your own flooring. The easier the gym floor cover system is to install, the faster they can be put down for athletes, and the happier the custodial staff will be! To save yourself time and stress, consider flooring that is easy to use all the way around. Protecting your students and athletes from injury is a job you don’t take lightly. Making sure your flooring is completely slip resistant and wrinkle free is critical to protecting them. Never worry about your gym floor tiles or gym flooring rolls rolling up at inopportune moments by selecting a mat that is proven to stay put. Gym mats are notoriously full of icky bacteria and fungi. To avoid spreading germs and infections, choose gym floor covering that is easy to clean with the swipe of a towel or clean mop. Remember that Anti-Microbial carpet topcloth gym floor covers work even when the floor protection is being stored. Any missed debris is reduced including mold, mildew, fungus, and destructive odors. Make sure your mat fits your space by selecting mats with customized sizes. One-size doesn’t fit all. Each space is uniquely sized, but you can purchase customized mats to prevent damage to your gym floor. At Enhance Mats, we also offer compact storage systems, so you can also store your mats to free up space when needed. Whether for branding or to support your team, you can now add customized logos to your gym floor cover with logo customization. High quality inlaid and flocked logos is a necessity. The final product should embody your brand or sports team without sacrificing on durability, safety, or functionality. If you go the route of customized graphics, make sure you receive a product that meets all your demands. Whether you’re looking for gym floor protection in rolls, carpet tiles, gym floor runners or gym mats our selection include all these features. 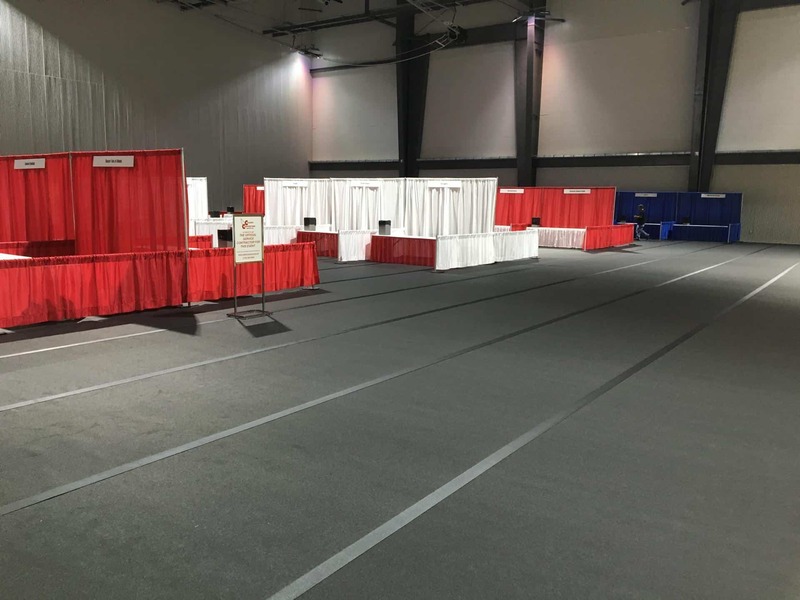 Get the most out of your investment and choose the protection that suit your needs, by visiting Enhance Mats @ www.EnhanceMats.com Our team is available to consult on any of your projects, and will work with you to solve your floor protection needs. HOW MUCH WILL GYM FLOOR PROTECTION COST?